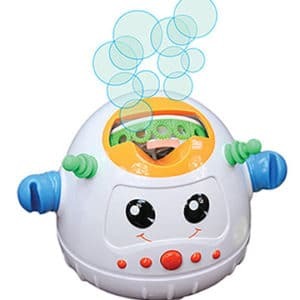 These switch adapted Bubble Machines will fill the air with bubbles when you press your adaptive switch. Great for children with disabilities to join in on the bubble fun. Teach cause and effect and promote eye tracking and visual attention. To say this bandit has a bubbly personality is an understatement! Just activate your switch and this mischievous fella blows bubbles galore! To view accessories for this item click accessories tab below. 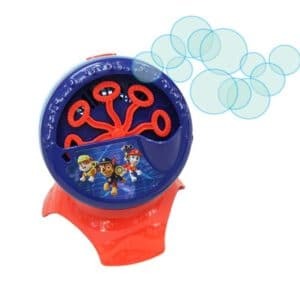 Blowing bubbles is even more fun when it’s done with a “Paw Patrol” themed adapted bubble blower. 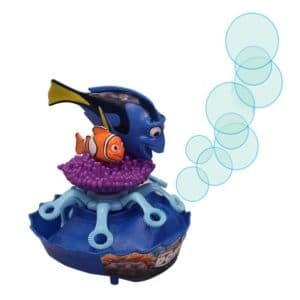 They’ll have crazy amounts of fun with this simple yet amazing toy. 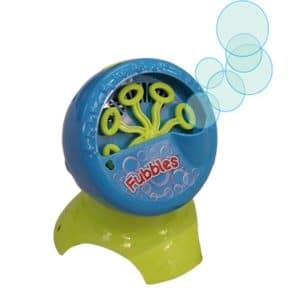 Just activate a switch and the bubble machine produces oodles of bubbles. To view accessories for this item click accessories tab below. 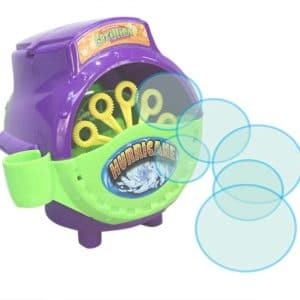 Activate your capability switch and this colorful blower will create hundreds of bubbles. To view accessories for this item click accessories tab below. 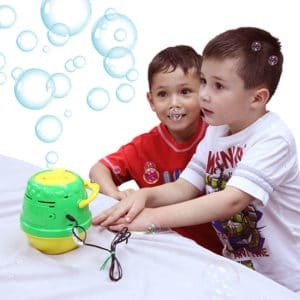 Activated with a capability switch, our colorful bubble-maker creates loads of fun while it helps children to develop vital visual tracking skills! To view accessories for this item click accessories tab below. Aren’t bubbles the best? 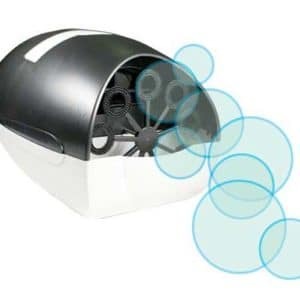 This breathtaking switch activated blower creates thousands of bubbles while it helps users to develop tracking skills and teaches cause and effect.